Kevin is a SAG-AFTRA actor and stunt performer, award-winning fight choreographer, and a Certified Teacher with both the Society of American Fight Directors and the National Michael Chekhov Association. Prior to coming to Wyoming he taught acting, movement, stage combat and other theatre topics at the College of William & Mary, Virginia Commonwealth University, Christopher Newport University, and at conferences, workshops, and theatres across North America. Professional work has included both independent and union screen work as well as live theatre, where he is an Associate Member of the Stage Directors and Choreographers Society. 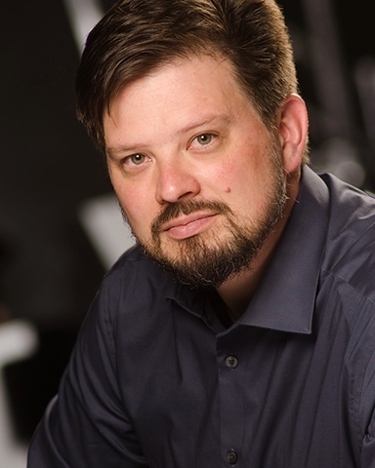 Kevin holds an MFA in Theatre Pedagogy from Virginia Commonwealth University, specializing in movement and physical theatre, as well as a graduate certificate in Sustainable Change from Antioch University Seattle, and a BA in Psychology from Earlham College. Within the Society of American Fight Directors, he is one of 133 Certified Instructors, one of about 20 Theatrical Firearms Instructors, and is the regional representative for the Rocky Mountain region, which includes Colorado, Utah, Montana, Idaho, and Wyoming. He coordinates and hosts the annual UWYO Stage Combat Workshop, as well as periodic Theatrical Firearms Certification workshops on campus. A published author, Kevin’s work is known through several journal articles, many conference presentations, and his book, The Theatrical Firearms Handbook (Focal Press, 2014). He is currently working on a chapter for Physical Dramaturgy (Routledge) with fellow members of the Association of Theatre Movement Educators, a group he has been active with since 2012. He is also very active with video and media production on campus. Previous homes have included Virginia, Colorado, and both Washingtons.